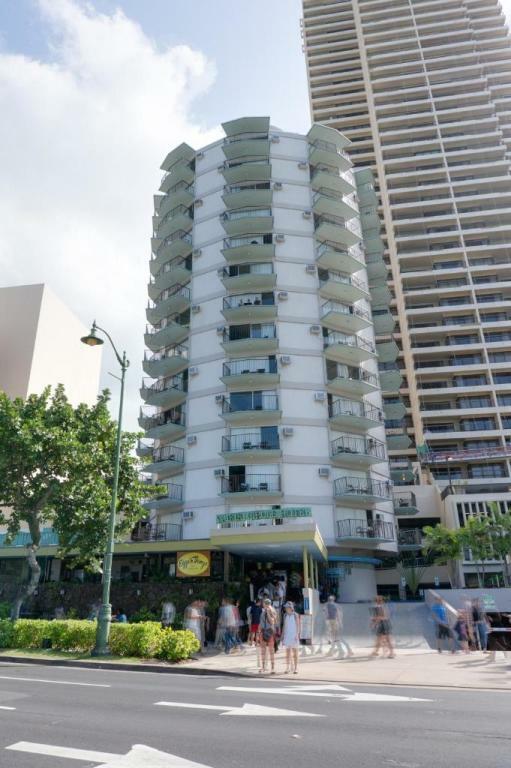 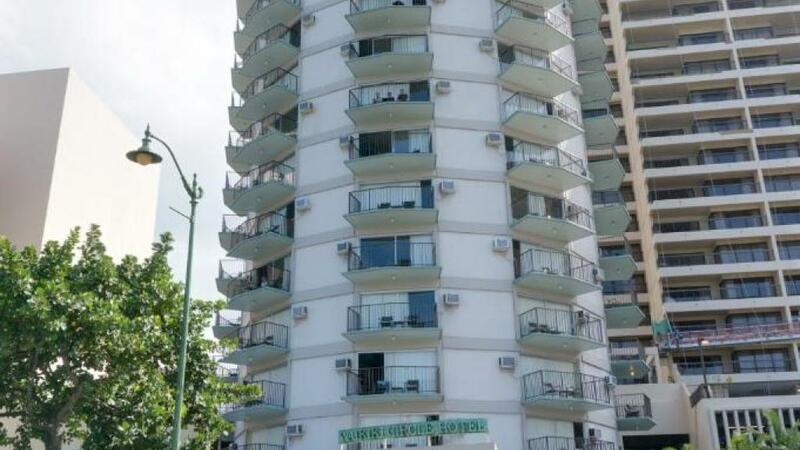 Located opposite Waikiki Beach, Aston Waikiki Circle Hotel gets its name from its distinctive circular shape which provides panoramic views of the city or Pacific Ocean from its accommodation. 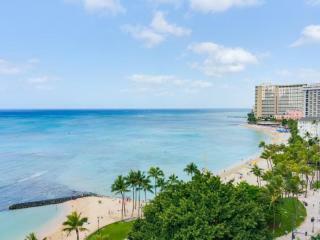 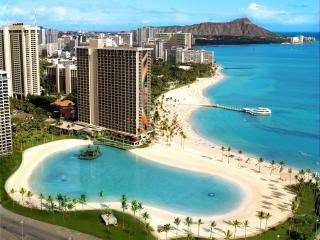 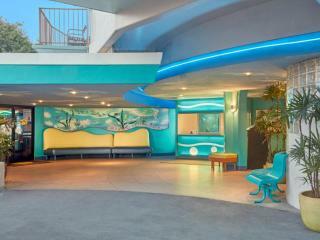 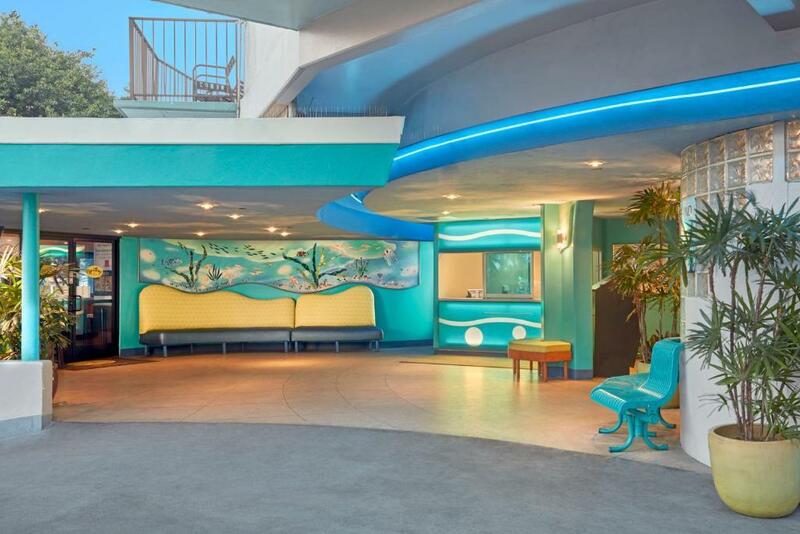 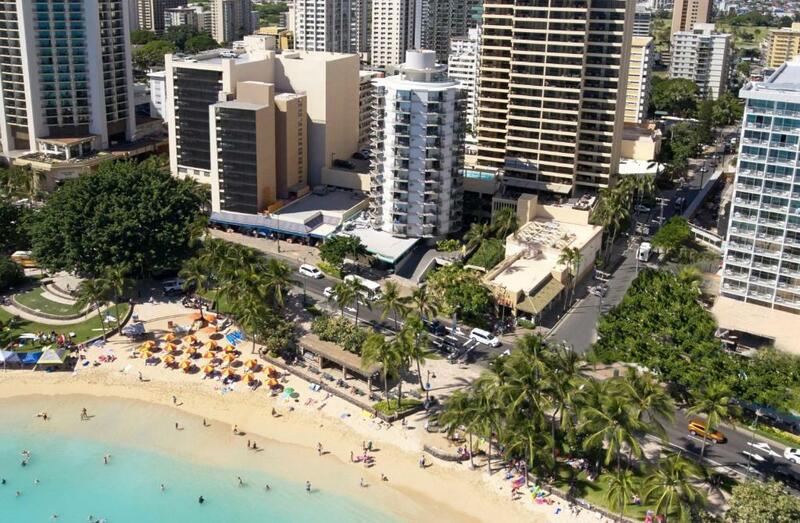 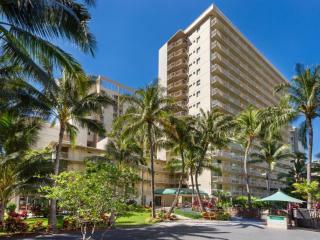 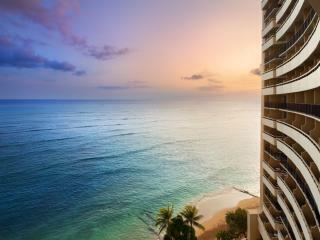 Positioned close to the famous Waikiki Beach, the resort is a highly sought after place to stay. 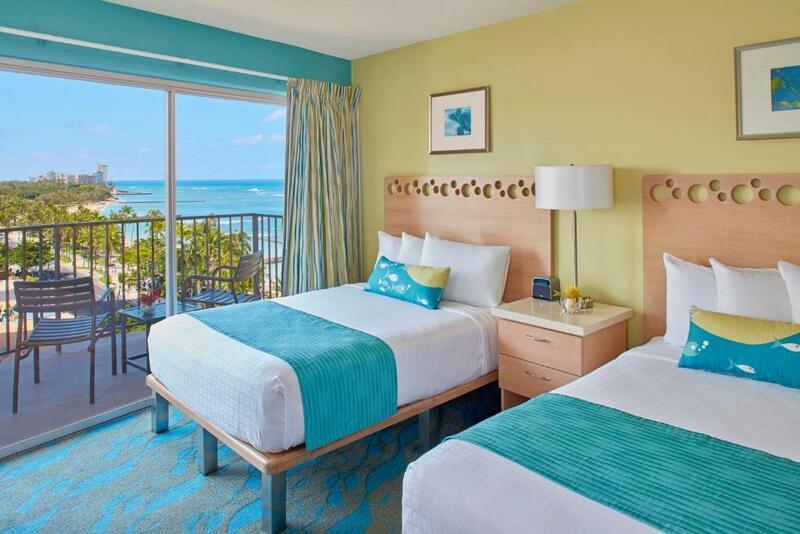 Accommodation at Aston Waikiki Circle Hotel offers a choice of rooms, each with their own private lanais and some with ocean views. 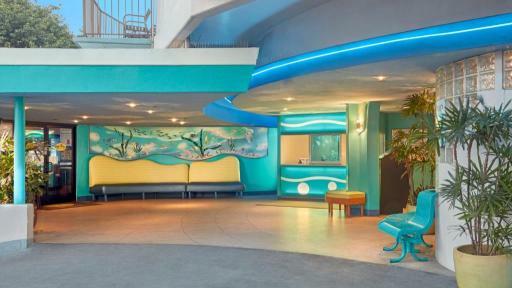 The resort offers a range of facilities including an Activities Desk, DVD Kiosk and parking. 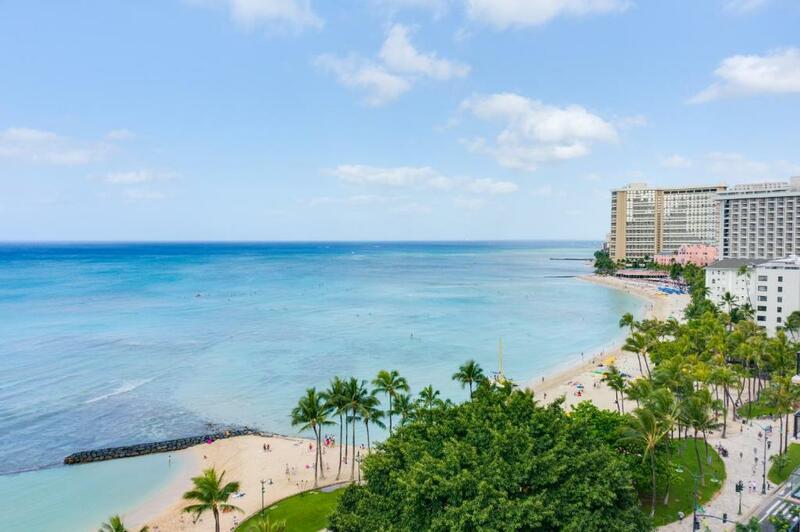 While it does not have an onsite swimming pool, it's enviable beach location means guests enjoy direct access to the beach with beach mats, rafts and beach gear available from the resort. 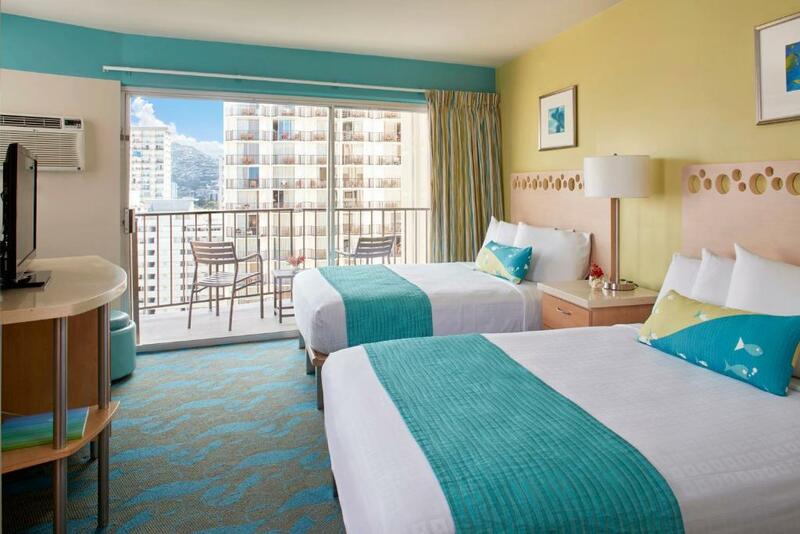 Ideally located to make the most of the shopping and dining mecca of downtown Honolulu, Aston Waikiki Circle Hotel offers a unique place to stay on your next Hawaii holiday. 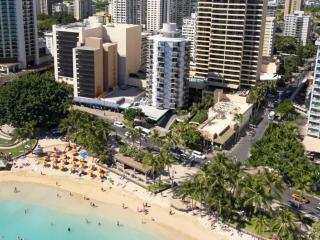 Accommodation at Aston Waikiki Circle Hotel offers guest rooms spread over 14 floors opposite Waikiki Beach. 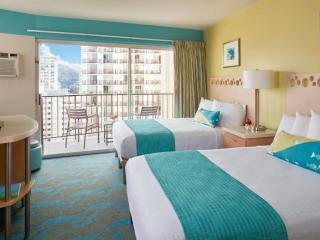 Standard Room: Room size is 23m². 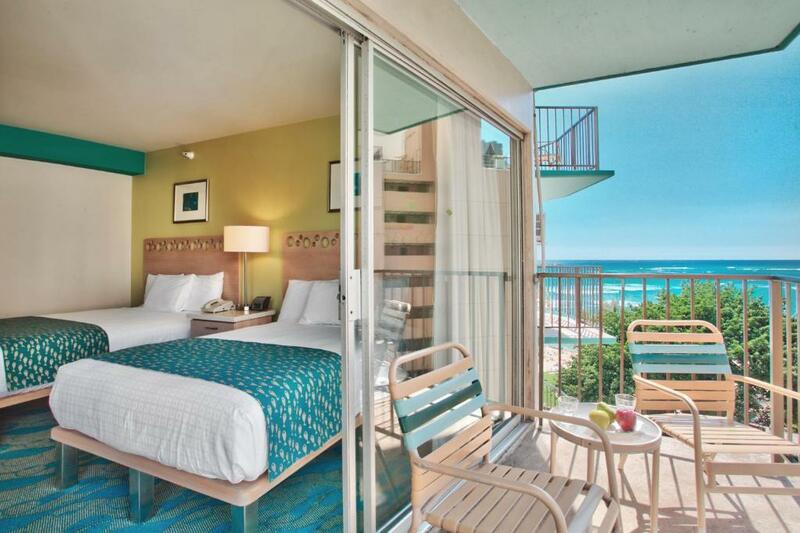 Bedding is 2 Double Beds. 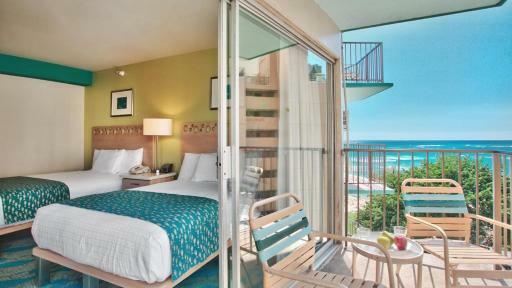 Partial Ocean View Room: Room size is 23m². 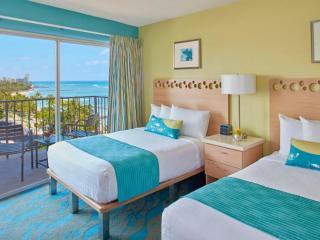 Bedding is 2 Double beds. 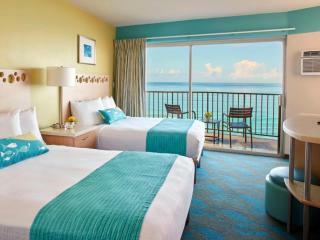 Ocean View Room: Room size is 23m². 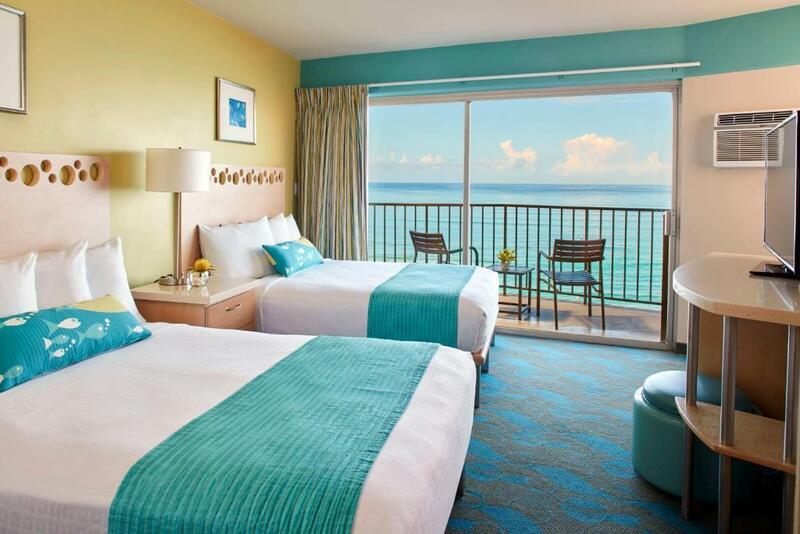 Bedding is 2 Double beds. 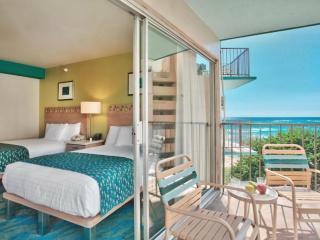 Ocean Front Room: Room size is 23m². 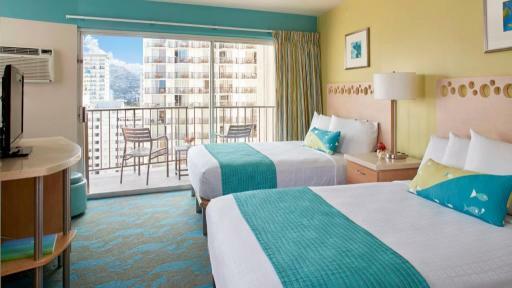 Bedding is 2 Double beds. 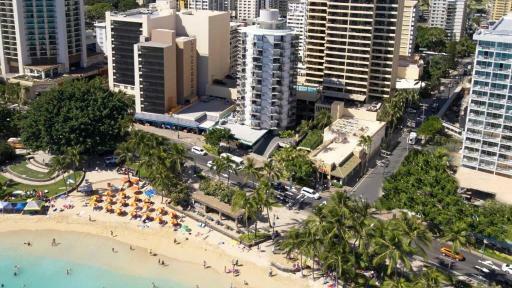 Eggs 'n Things Waikiki Beach Eggspress: Serving affordable and delicious meals using the freshest ingredients. 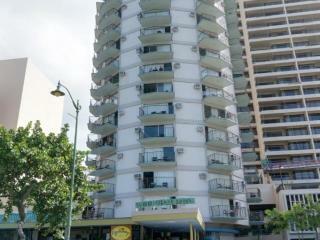 Kids of all ages will enjoy their light, fluffy pancakes!